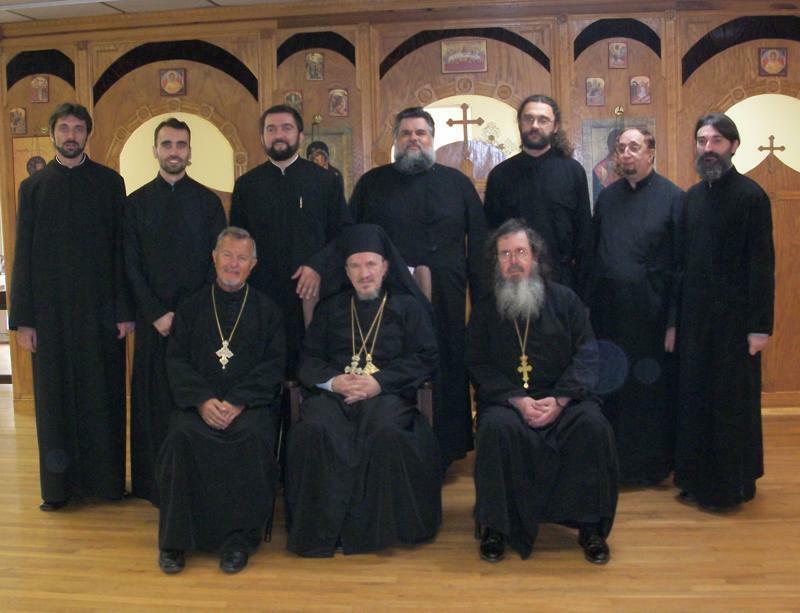 Atlanta, GA - The Fourth St. Petersburg Christian Education Deanery Meeting of the Eastern American Diocese was scheduled by His Grace Bishop Dr. MITROPHAN at the Sts. Peter and Paul Serbian Orthodox Church of Atlanta, Georgia on Saturday, March 19, 2011. Previous meetings were in Jacksonville, Orlando and St. Petersburg, Florida. This meeting was scheduled in conjunction with Clergy Confession. Parishes in the Deanery are many miles apart. Extensive traveling is necessary for the participants. His Grace Bishop Dr. MITROPHAN officiated at the Hierarchical Divine Liturgy with attending priests also serving. Singers from the Sts. Peter and Paul Church provided the responses. Host priest Father Miladin Blagojevich warmly welcomed the participants. The Dean of the St. Petersburg Deanery, Protopresbyter Stephen Zaremba emphasized the importance of Christian education and the centrality of participating in and learning from the Divine services of the Church. Written and oral reports were prepared from each of the parishes in the Deanery with accompanying discussion. The reports provided a review of the amount of teachers and students in each parish and the curriculum materials used. The efforts, concerns and difficulties of providing Christian education in the parishes were shared with interest and conviction. The Deanery includes parishes in Charlotte and Greensboro, North Carolina; Atlanta, Georgia; and the Florida parishes of Jacksonville, Orlando North Miami, St. Petersburg, Clearwater and Northport. Participants in the meeting in addition to those mentioned included Protopresbyter Stavrofor Jovan Todorovic, Protopresbyter Svetozar Veselinovich, Protopresbyter Dragan Zaric, Protonamesnik Ljubisa Brnjos, Father Stanislav Kravljaca, Father Dragan Zaric, Martha McJilton and Marija Mandic. His Grace Bishop MITROPHAN stressed the importance of having children and youths participate in the Divine Liturgy. His Grace spoke about the need for missionary efforts. Having a symposium for teachers at Shadeland as well as in the St. Petersburg Deanery was also discussed. 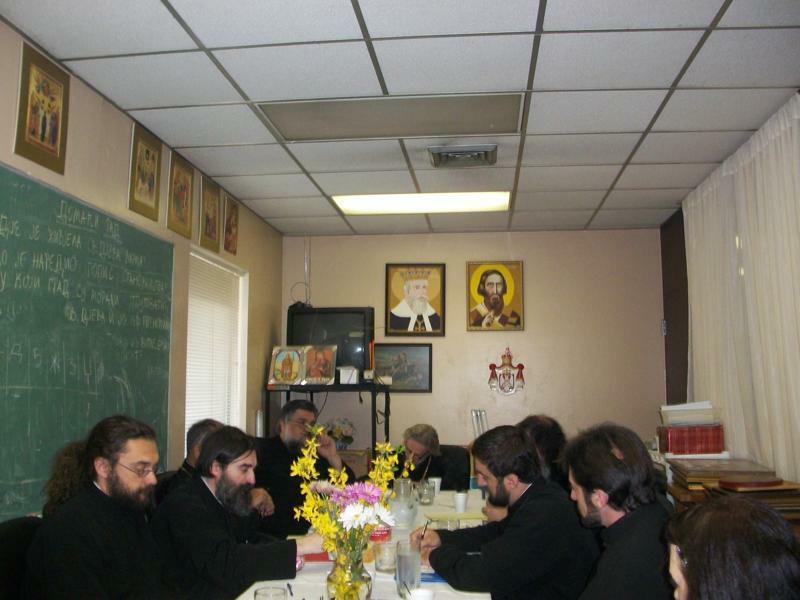 The warm hospitality of Father Miladin Blagoljevic and the parishioners of the Sts. Peter and Paul Serbian Orthodox Church was evident throughout the day and was gratefully appreciated.